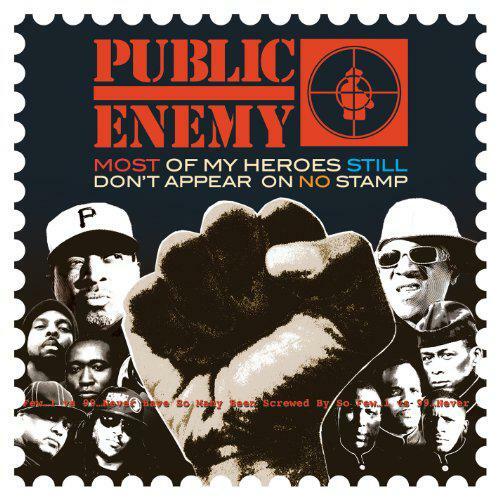 New York City-based Public Enemy, (MC's Chuck D and Flavor Flav as well as DJ Terminator X and Minister of Information Professor Griff), pioneered a socio-political voice guided by their roots in the inner city. 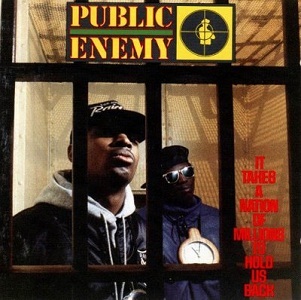 Unveiling a much-needed consciousness that shouldered an uprising alongside other movements already present within the hip-hop community at the time, Public Enemy blended the bite of authority mistreatment angst, and a finely honed advocacy of genuinely truthful expression. This was key in uniting fragmented African-American youth, which thus produced two movements within the Golden Age of hip-hop, namely early West Coast “Gangsta” Rap, and the Native Tongues Movement. Most groups used various samples and scratch techniques to produce their soundtracks to life's contemporary issues, yet Public Enemy sought to construct an original, serious, controversial, sonic vehicle that would leave a defining landmark and lasting impact within the halls of hip-hop history. This amalgamation of various genres of black music past and present, radio broadcasts, and political speeches, generated its own brand: “edutainment,” which utilized a melting pot of some 140 sampled tracks, chunks of beats, instruments, voices, and various dynamic noises. 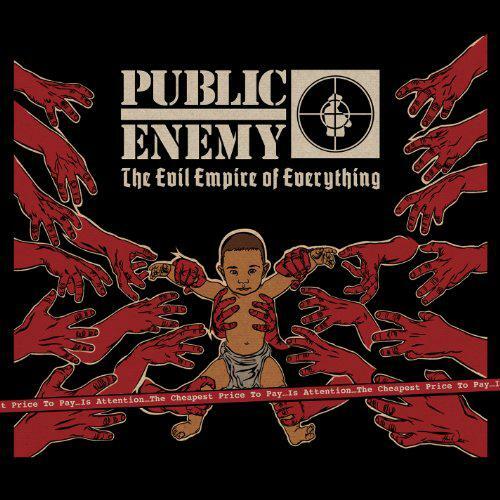 Public Enemy’s creation was ingeniously sculpted by the combined efforts of The Bomb Squad, Hank, and Keith Shocklee, Eric 'Vietnam' Sadler, and Chuck D, giving birth to a unique wall-of-sound experience, which was both psychologically terrifying and hypnotically groove-infested. 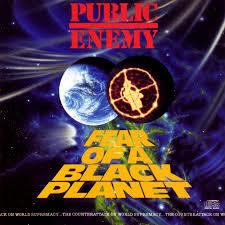 Fear of a Black Planet is a twenty track H-Bomb that was released in April 1990, and can still be said to be ahead of its time in both purpose and delivery. Following on from the group's second album It Takes A Nation of Millions to Hold Us Back, released two years prior, Fear of a Black Planet levels up abilities with an apocalyptic vigor and some added menacing punk-rock style to kick the mainstream's groin. The first shot of the album is the haunting instrumental “Contract On The World Love Jam,” a swing beat groove throwing in phrases from radio phone-ins and public speech. This introduces the album's apparent aim, to make you wake-up, listen hard, and not stay comfortable, with a memorable ending quote, "There is something changing in the climate of consciousness of this planet today". Putting us into greater submission is the wake-up call “Brothers Gonna Work It Out.” The intense, searing electric guitar solo loop accompanies the low-to-high chiming riff, over an insatiable drum groove. 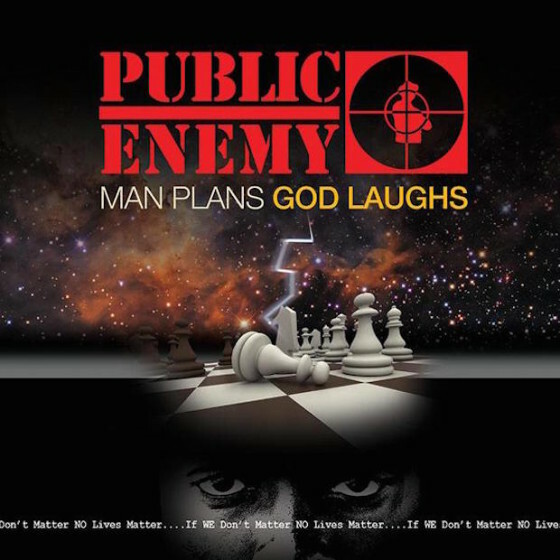 Chuck D’s tone and flow pack tune after tune with relentless determination, coupled with Flavor Flav’s eccentric swagger, to get the darn message across and keep it real throughout the whole recording. Another of the strings to the group's bow, Flavor Flav's “911 Is A Joke,” presents a sarcastic comedy club-style putdown regarding the tragic reality of how emergency responders have failed those in the inner city. An eager sound began to emerge during the era, embedding tension-inducing, layered soundscapes, overlaid by a provocative, intellectually rich lyrical flow. You can hear this displayed in the songs “Welcome To The Terrordome,” with its droning siren and metallic, driving break-beat, and the military bite and stomp of “Revolutionary Generation.” This method of production may well have affected many next wave artists we later came to embrace, including the Wu-Tang Clan. The creepy discordant groove on “Incident At 66.6 FM,” comprised of listeners’ prank call-ins interspersed with an interview appearance by Chuck D on the late political pundit Alan Colmes’ radio program, was quite a chilling moment to hear on a recording. “Burn Hollywood Burn” is a strong collaboration - one of so many to occur in the scene - bringing together some equally potent friends in Ice Cube, and Big Daddy Kane. The number aimed to rip holes in Hollywood's tedious and exploitive portrayal of African-Americans in film. The energizing numbers “Power To The People” and “Who Stole the Soul” called all to front and center like election campaign parade soundtracks. As highly controversial as it was definitely going to be, the sci-fi title track rightly challenged the prevailing, institutionalized, patriarchal ignorance of ethnic mixing, and then called for truthfully examined accountability to step forward. The prizefighting finale, which became a civil rights anthem “Fight The Power,” delivers the album's KO uppercut. An edgy funk groove held tight underneath Chuck D and Flavor Flav's tag-team, was an open invitation to anyone brave enough to take a rightful and unashamed stand. The song was initially pushed via director Spike Lee in his critically acclaimed comedy/drama film Do The Right Thing. Fear of a Black Planet holds its own corner as a super heavyweight of hip-hop's heritage. It was and still is evocative and unnerving. Even now, in similarly turbulent times, it should stir some hearts to consider taking the baton in keeping hip-hop a relevant voice.